Deciding on the wedding venue is the most difficult task for every to-be brides and grooms. There are a number of venues around the world ideal for walking down the aisle or to prepare a mandap. But, there are only a handful of places with romantic and serene beauty to have your dream wedding. As the saying goes, ‘Marriages are made in heaven!’ Why not bring the concept to live and recreate the magic? 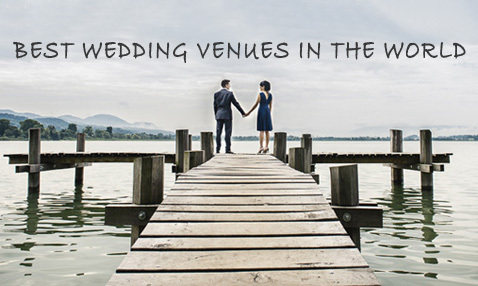 We have complied a list of the most fabulous wedding venues of the world below. These venues are considered to be the most romantic places. Hollywood celebrities like Lindsay Price and Curtis Stone who got married in Spain this month said to be enthralled with Spain’s beautiful culture and natural wedding serene. Take a peep at some of the best wedding venues from around the world. These places are ideal for you to sit on the mandap and enjoy the serene beauty as you get married. Montego Bay, Jamaica is another perfect wedding destination to tie the knot. The fancy and beautiful bays decked with stunning views of Jamaica will give the perfect fairy tale feeling that you always dreamt of. 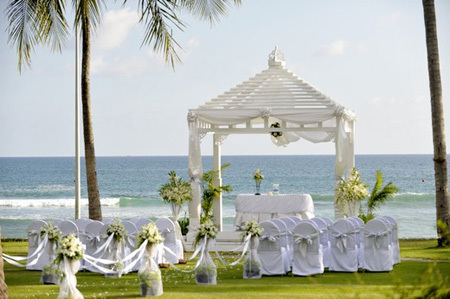 Patong Beach in Thailand is one of the beautiful exotic wedding venues of the world. There are a lot of lounging areas around for your guests to hand around. The area along the Patong Beach is serene and is viewed best at night. Go for a late evening wedding for the perfect touch. Plan your blissful wedding in Clear Lake on the North Coast of California amidst vineyards and greenery all around you. 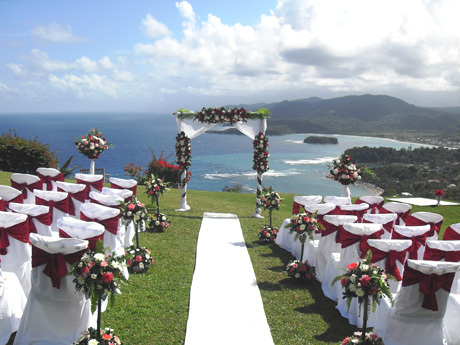 This luscious surrounding will be idea to exchange your vows with each other. Who won’t just love to have a wedding on the quiet countryside of Sils, Girona in Spain? This is one of the finest places in the country with spectacular view and luxurious amenities – perfect for your wedding. 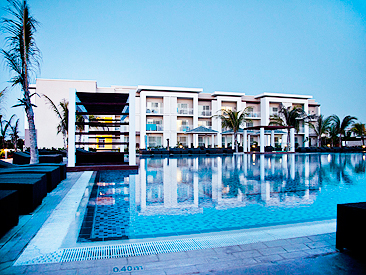 Your guests completely blend with the calm surrounding. If you are the kind of couple who loves oceanic and rain forest view, the Santa Maria Playa in Puerto Rico will simply be the best for you. There are a number of villas overlooking the ocean and embraced by the rain forest. It is the perfect suit for outdoor wedding.